Not yet booked your Motorhome? Check our Motorhome hire prices now! 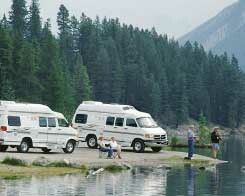 Compare Motorhome hire insurance policies. From just £8.13 per day for a policy covering your Motorhome excess (up to £2,500). Policies cover damage to your motorhome's windscreen, mirrors and glass, wheels, tyres, underbody and roof. Policies can cover named drivers, lost keys and much more besides. Priced per 24 hour period so 10am Monday to 10am Friday = 4 days, drop back later than pickup -> 5 days. Motorhome cover is an upgrade option available from the standard European Car Hire Insurance policy (Standard price £47.99, Motorhome upgrade cost £29.99). The upgrade option is offered after you've filled in the "About You" page on their site. Motorhome cover is an upgrade option available from the standard Worldwide Car Hire Insurance policy (Standard price £69.99, Motorhome upgrade cost £29.99). The upgrade option is offered after you've filled in the "About You" page on their site. When you rent a motorhome it's pretty much certain that it will be provided with both Collision Damage Waiver (which covers the motorhome itself), and Liability Insurance, which covers your liability to others in the case of an accident. However, you will almost certainly find that you are still liable for a fairly hefty bill if you are involved in an incident. Motorhome hirers should therefore check carefully the terms and conditions on their motorhome hire agreement and, if in any doubt, clarify the situation with the motorhome rental company. Do this before you actually sign up for renting the vehicle as from that point forward you are legally bound by the terms and conditions. As with your car insurance at home, Motorhome Hire Insurance policies have an excess (which is the amount you are liable for before your insurance policy or waiver starts paying up). Motorhome hire companies see them as a useful way of encouraging you to be careful with their vehicle, as well as avoiding the need for them to make small insurance claims. However to many renters they are a potential holiday wrecker, as the excess can be £500, £1000 or even more. Therefore excess insurance is made available either through the rental firms or through independent insurers such as those featured on MoneyMaxim. We have seen examples of many excess insurance policies around the world and the following are some of the key features to watch out for. The level of excess reduction - Policies sold through MoneyMaxim reduce the excess to £350 or nil, whilst some hire firms only reduce it to £500. Exclusions - Whilst MoneyMaxim offer policies which cover the tyres, wheels, glass, underbody roof and even lost keys, most policies bought from rental firms don't. Bearing in mind there is a lot of glass in a motorhome windscreen, that can mean you are leaving yourself open to a pretty big bill if the windscreen is chipped. The tyres are expensive too! The interior of the vehicle - Do note that most policies exclude damage to the interior of the vehicle - so do look after your motorhome! Reversing and parking accidents - Some policies (although not those offered by MoneyMaxim) exclude reversing accidents or parking incidents. That is potentially dangerous as many of us are unused to manoeuvring vehicles of this size. Unfortunately stand alone Supplementary Liability Insurance is not, as far as we are aware, available in the UK. It is also not part of the cover offered on policies from Worldwide or Questor meaning the limit of your liability cover is that offered by your motorhome rental firm. In many cases this is not a problem but we are regularly approached for such policies by those renting in the US (especially Alaska), where the minimum liability cover rental firms have to provide is determined by the state and can be woefully inadequate.